Small Business Loans in Florida with Bad Credit – Solutions available for your business! Florida the sunshine state also known as a small-business hub in the United States. According to SBA, there are 2,180,566 small businesses in Florida alone. 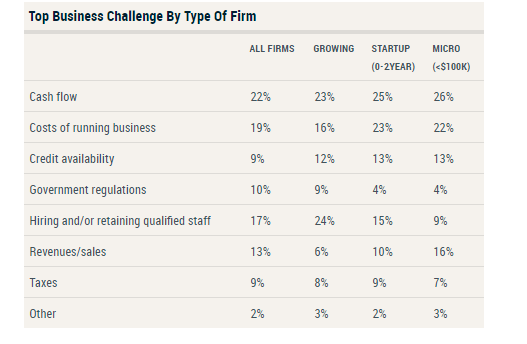 With a sizeable amount of employers with under 100 employees. 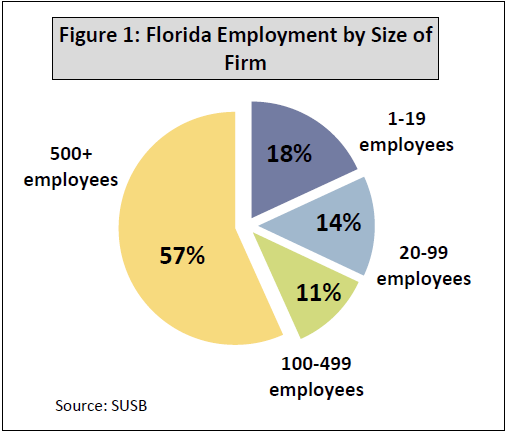 See the diagram below for a breakdown of the Florida Employment by the size of the firm. With the average credit score of 669 In the entire state, it seems like a big percentage of small business loans in Florida are not happening due to bad credit. Let’s also not neglect the fact that most Major Banks require a profitable P&L statement along with some assets. So many business owners in Florida wonder what options are available for merchants with what banks like to call sub-prime credit. We have put together a few of most convenient funding options available to you Floridians when cash flow gets tight and working capital is needed. Small Business Loans Florida with Bad Credit should not be a challenge for your business needs. Let’s review the options available if you have less than perfect credit. Excel now offers a true unsecured business line of credit in Florida with very loose requirements. How does this line of credit program work in Florida? How do Unsecured Business loan programs work in Florida? Usually structured as a purchase of future sales at a discount and not interest rated. What’s needed to Qualify for a small business loan in Florida? How do Split Funding or Merchant Cash Advance programs work in Florida? These are our top 3 options for merchant looking for small business loans in Florida with bad credit. Although these are not the only options we have available these are the most common solutions we offer at excel to help business owners who need capital for cash flow as soon as possible. Small Business Loans in Florida with Bad Credit made Fast Simple and Secure! Please click here to quickly apply or call us at 877-880-8086 to learn more.